Thank you for your interest in applying to our 9th annual 2018 holiday show, Alliday at Retro Den! This year's show will be extra special thanks to a few sparkling changes! 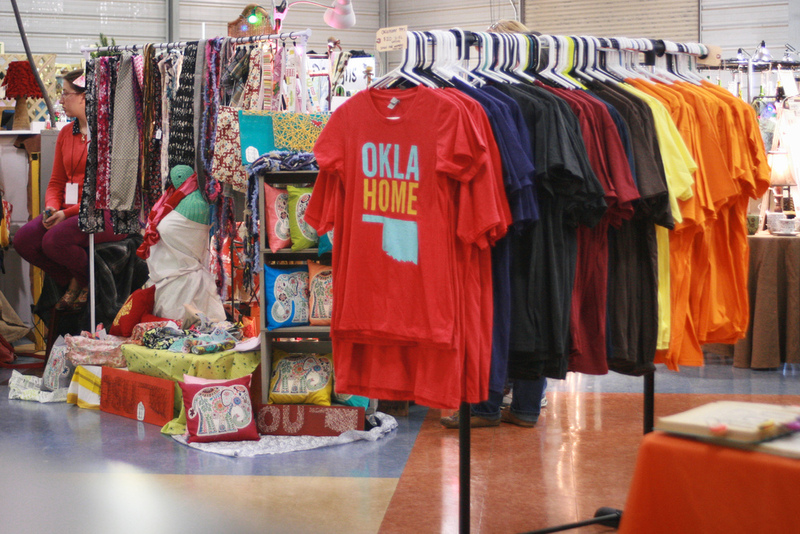 First, we're stoked to be setting up shop in Midtown Tulsa's jewel, Retro Den, for the fifth year in a row! We've also expanded the show to cover two days, December 7th from 6-9 and December 8th from 11-5. Finally, we're only accepting TWELVE artists this year who will be the stars of the show! The competition will be tough but well worth the fight! Applications will open Friday, June 8th, 2018. Applications will close midnight of Sunday, September 30th for our December 2018 show. Booth sizes are 6x6 for $175 with free electricity. Only 12 artists will be accepted. Applicants must pay a non-refundable $15 application fee when submitting application. This cost will not be deducted from booth fees. This year's show is a TWO-DAY show. Accepted artists are expected to participate and attend both days. We will only consider Oklahoma-based applicants making their own handmade products; no resellers or company representatives please. This is a juried show. A limited amount of artists in each category will be accepted. Those not initially accepted will be placed on a wait list. No refunds of booth fees after November 15, 2018. Artists will keep all of their profits. Artists are required to pay Oklahoma sales tax. Links to artists' websites will remain on the Alliday website until next year's show. Booth styling, props, and vintage furniture for booths will be available courtesy of Retro Den. Social media marketing galore from organizers. One-on-one meetings with organizers, prior to the event. Photo of booth and artist. Email us at allidayeveryday at gmail dot com for questions, concerns or comments.